The C711WT digital color printer has the ability to print color-plus-white on transfer media. Print high-quality solid white graphics and text as well as vibrant color on transfer media. 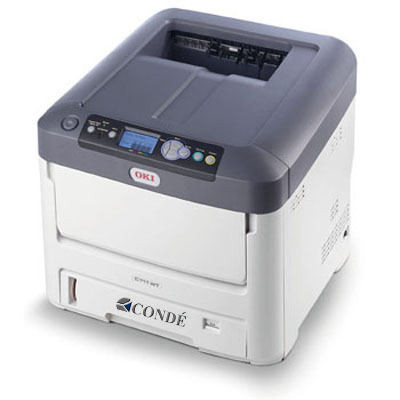 Looking for toner cartridges, image drums, and other consumables for this printer? Click here. Combining High Definition LED color printing with unique white toner technology, the innovative C711WT is an ideal alternative to slow, expensive and error-prone screen printing or inkjet processes.